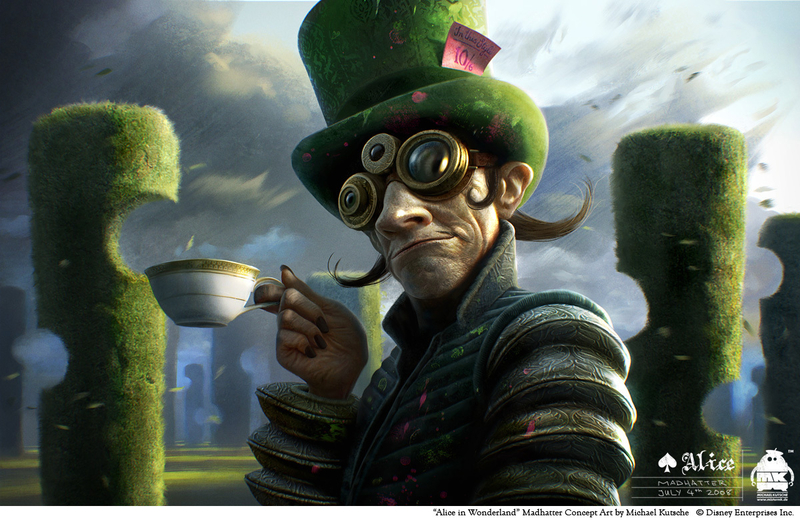 This is one of the early Madhatter concepts I did for Tim Burton's "Alice in Wonderland". I did the drawing before Johnny Depp was cast in the role, that's why there's no similarity. All done in PainterX and PhotoshopCS3.